Julian von Oheimb is the ower of the shop One Way Machine. 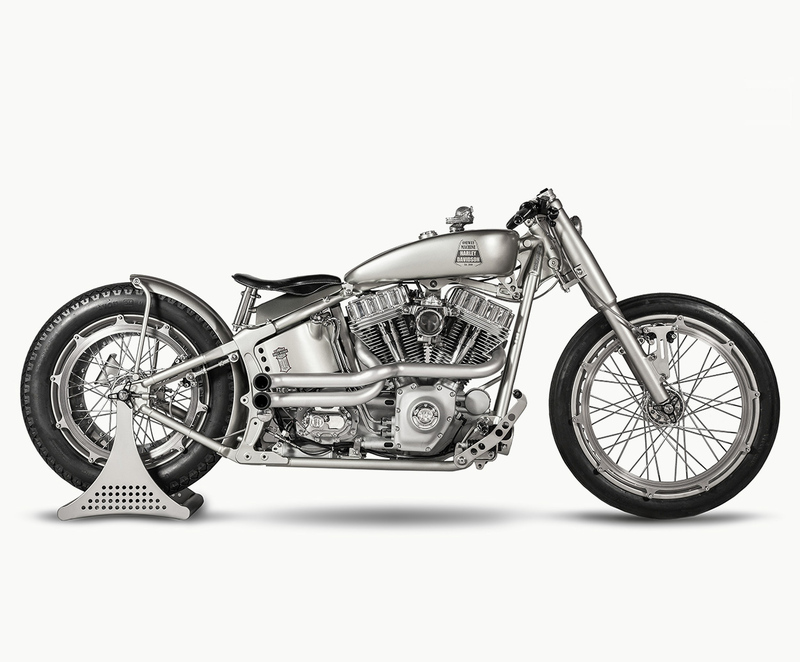 He pulled out all the stops with this industrial-looking Softail, which he’s nicknamed Iron Riot. He bought a 2001-model carbureted Harley Softail Standard, in perfect condition, with just 1,400 miles on the clock. Straight away, Julian took the rigid mount, 1450cc Twin Cam motor out of the FXST frame, and dismantled the bike for a thorough inspection. The next step was to clean up the engine, transmission and oil tank. 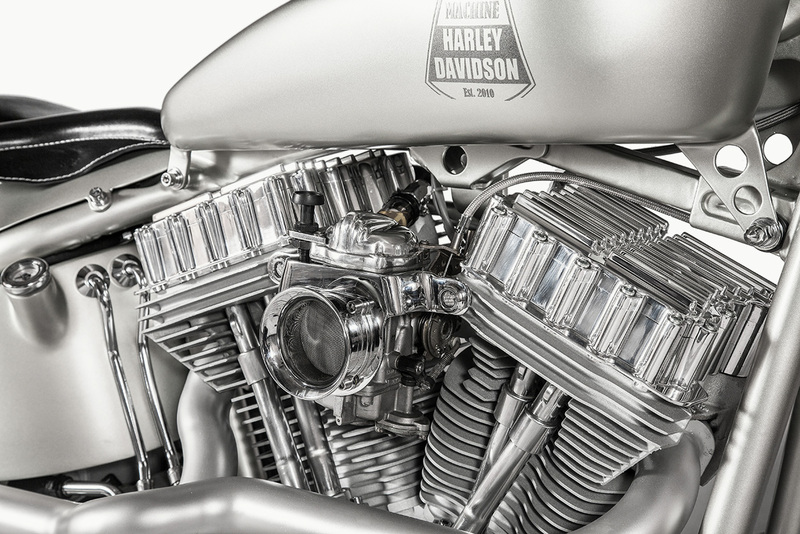 He’s kept the Softail’s original CV carburetor, but it looks even shinier than when it left the factory. The engine internals were in immaculate condition, so the powerplant has just been treated to a new air cleaner and rocker boxes, plus a new points cover. 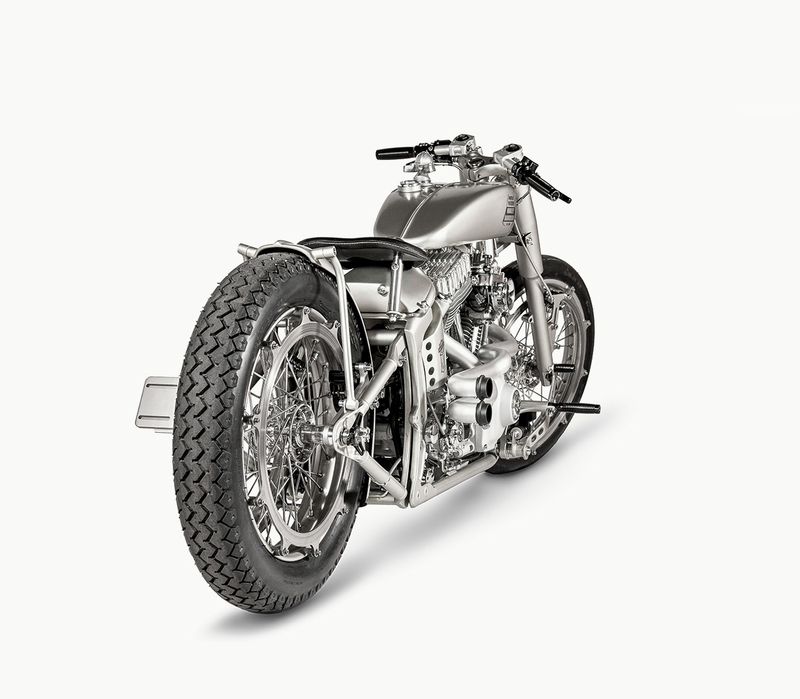 The breathing is revolutionized though, with a simple and elegant exhaust system.